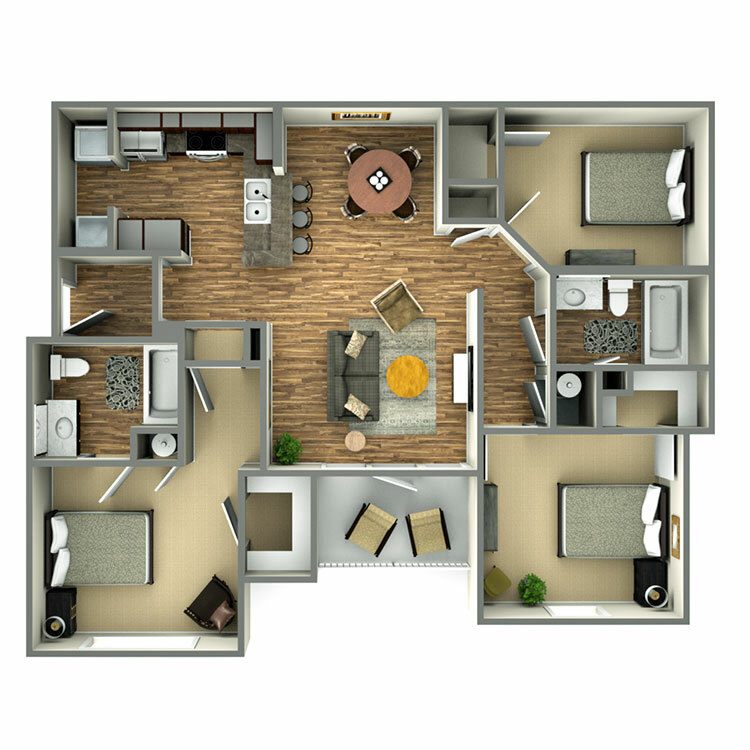 At Highland Ridge Apartment Homes, we offer a wonderful selection of two-bedroom and three-bedroom apartment homes. 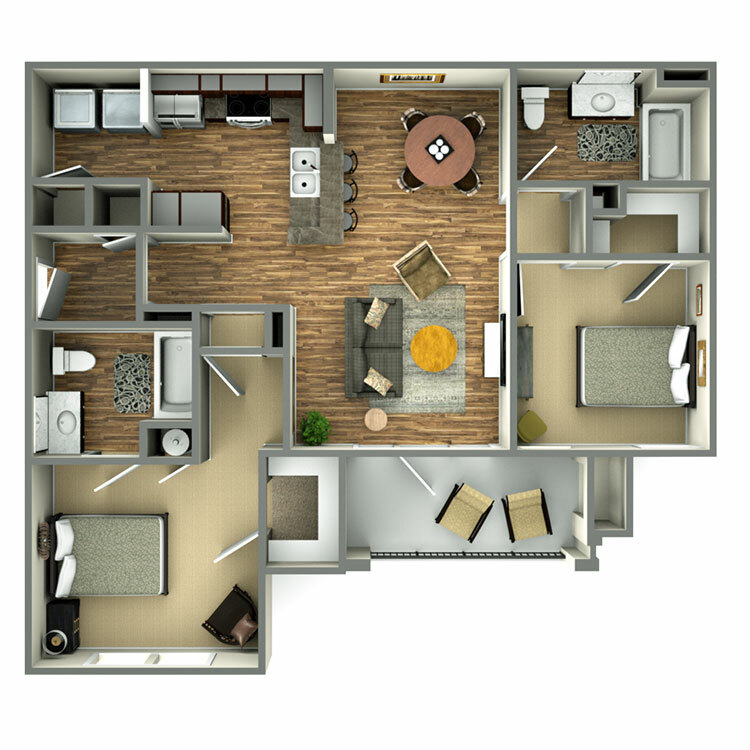 Each of our floor plans is designed with high ceilings, arched doorways and a warm color scheme that makes your apartment feel bigger and brighter. We understand the importance of storage space, which is why each floor plan features a contemporary, open design as well as storage-friendly, walk-in closets. Each home is also equipped with energy-efficient appliances and an in-home washer and dryer.